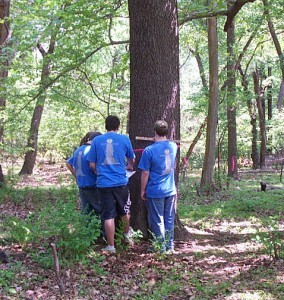 The New Jersey State Envirothon is an annual competition of high school students testing their knowledge of environmental topics through hands on interactive problem solving at five different stations throughout the day. 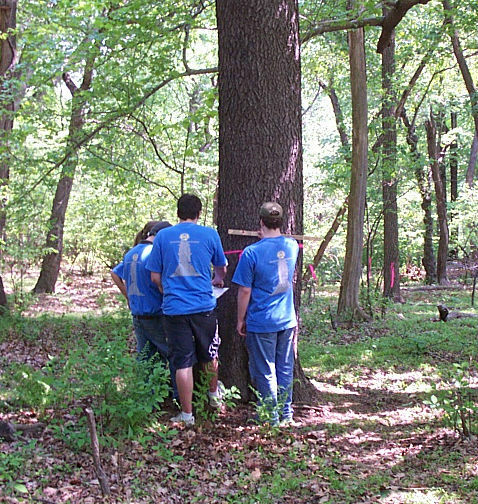 Students participating at the 2007 Envirothon. The team that best demonstrates a comprehensive understanding of natural resources, as well as teamwork and communication skills, moves on to represent New Jersey in the North American Envirothon competition which is North America’s largest High School Environmental Education competition. This multi-day event further tests the team’s understanding of the environment and involves teams from all regions of the United States and Canada. The 2016 Envirothon will be taking place at the North Branch Park, Somerset County, New Jersey on Saturday, May 14. Teams of students from each school will be competing in different natural resource related topics, including soils, forestry, aquatics, wildlife ecology, and current environmental issues. Participating students also have the opportunity to attend comprehensive training prior to the event. Trainings are offered at several locations throughout the state, one in North Jersey, one in Central Jersey and one in South Jersey. These training days are designed to give students an idea of the types of questions and activities that they will be asked to complete on the day of the competition. Please visit the Official NJ Envirothon Website for more information, or to register for the 2017 NJ Envirothon.